This large region in Northern France is a source of diverse and fascinating wines, and because it is overlooked by most wine lovers, prices are very reasonable. Reds, mainly from Cabernet Franc, can be an acquired taste, but the varied styles of white wines from Sauvignon Blanc and Chenin Blanc are often stunning. Arranged along the course of the Loire river, starting from the West the region encompasses the appellations Muscadet (bone dry, acidic whites), Anjou, Coteaux du Layon (sweet Chenin blanc-based whites, often with botrytis), Samur, Bourgueil (lean, herbaceous reds) and Chinon (leafy, raspberry-laced reds). Then we continue with Vouvray (Chenin Blanc-based whites, ranging from bone dry to sweet and botrytised), Touraine (racy, inexpensive Sauvignon blanc), Sancerre (classic bone dry whites from Sauvignon Blanc) and Pouilly-Fumé (bone dry, aromatic Sauvignon Blanc). 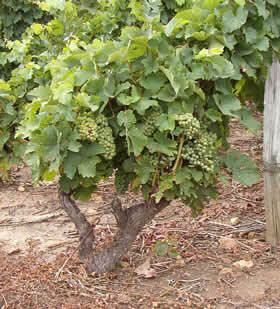 There are also a host of smaller subregions, each making their own styles of wine.